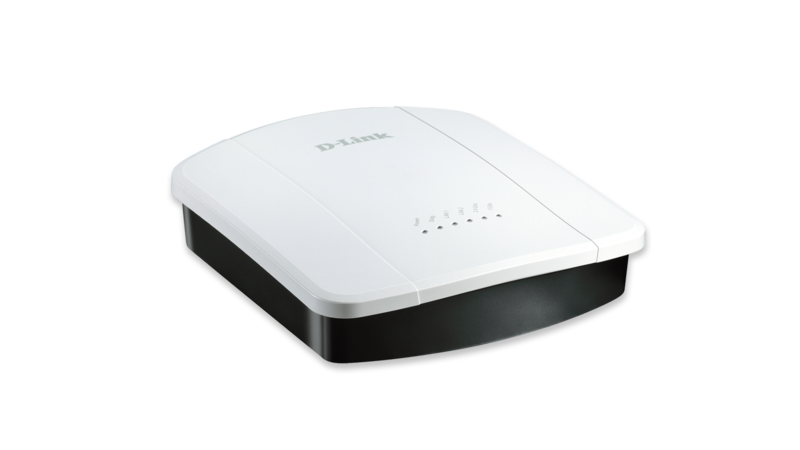 The DWL-8610AP Unified Wireless Concurrent Dual Band 802.11ac Access Point combines the cutting edge wireless speeds of 802.11ac with the unparalleled flexibility and scalability of D-Link’s Unified Wireless Solution. 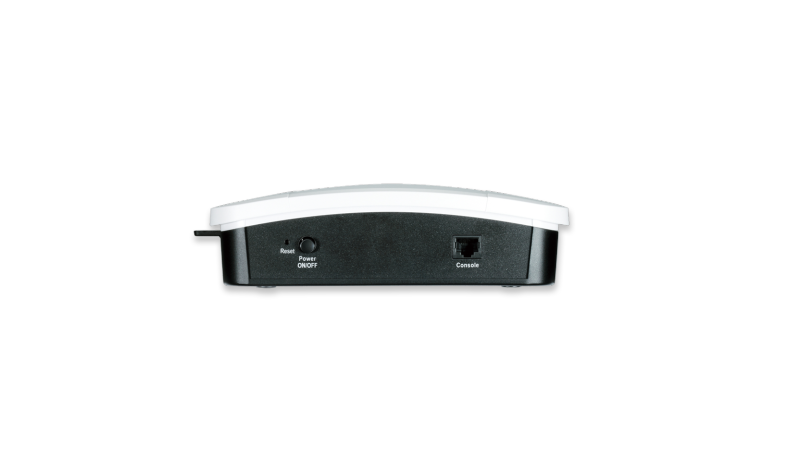 The DWL-8610AP is designed to support small to medium business or enterprise environments by providing network administrators with a manageable dual-band wireless network options. The DWL-8610AP delivers reliable, high-speed wireless performance using the latest 802.11ac standards. It supports maximum wireless signal rates of up to 450 Mbps over the 2.4 GHz band, and 1300 Mbps over the 5 GHz band1. 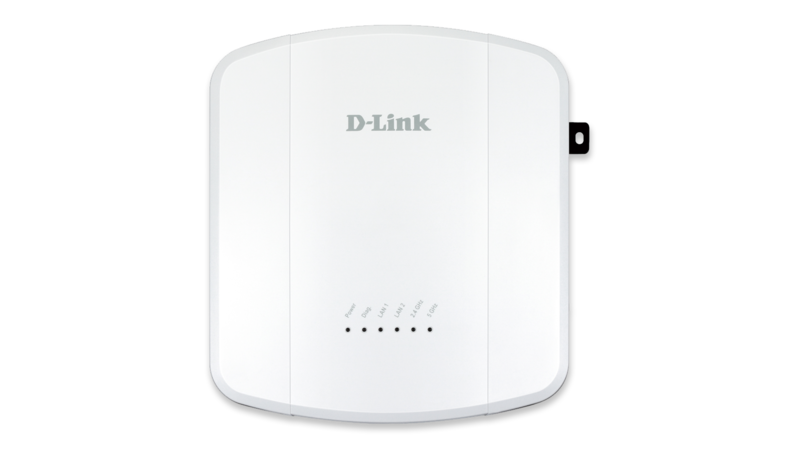 Versatile and powerful, the DWL-8610AP can be flexibly deployed as an autonomously managed, standalone wireless access point, or as a centrally managed access point controlled by a D-Link Unified Wireless Switch or Wireless Controller. Businesses can start with standalone mode deployment, and then migrate to a centrally managed system anytime later. The DWL-8610AP supports a variety of advanced radio management features to get the most of the wireless network and maximize user experience. Band steering detects and steers 5 GHz capable clients away from the overcrowded 2.4 GHz network to the less congested 5 GHz network. Load balancing ensures maximum performance by limiting the maximum number of users per access point. Beamforming technology enables even greater reach. By focusing the wireless signal at connected devices, it guarantees continuous fast wireless speeds, even under heavy network utilization or in areas that have bad wireless signal. remaining APs. Up to 16 APs may be used to form a cluster, making setting up your business wireless network a simple and easy. 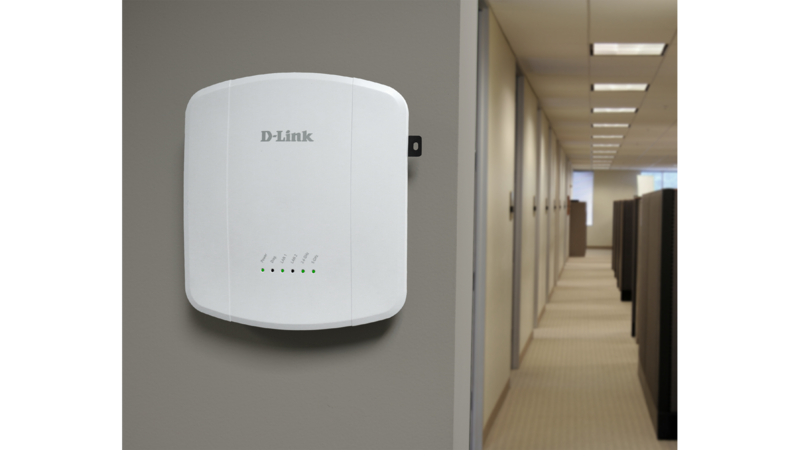 When working in conjunction with a D-Link Unified Switch or Wireless Controller, the DWL-8610AP, like other D-Link Unified Access Points, may be centrally managed. This allows up to 256 D-Link Unified Access Points to be deployed and managed easily and efficiently. Once the APs are discovered by the switch/controller, the administrator can push a specific set of configurations onto them, rather than having to do so one by one. In addition, RF resource management is also managed centrally, thus allowing the administrator to preemptively identify potential deficiencies and weaknesses in the network. When a number of access points are deployed close to each other, interference may result if proper RF management isn’t implemented. When a DWL-8610AP senses a neighbor nearby, it can automatically select a non-interfering channel. This greatly reduces RF interference and will allow the administrator to deploy APs more densely. To further minimize interference, when a nearby AP is operating on the same channel, the DWL-8610AP will automatically lower its transmission power2. At any time should the nearby AP drop from the network, the DWL-8610AP will increase its transmission power to expand coverage. The DWL-8610AP supports 802.1p Quality of Service (QoS) for enhanced throughput and better performance of time-sensitive traffic like VoIP and streaming DSCP. The DWL-8610AP is WMMcertified, so in the event of network congestion, time-sensitive traffic can be given priority ahead of other traffic. Furthermore, when a number of DWL-8610APs are in close proximity with each other, an access point will refuse new association requests once its resources are fully utilized. Instead, the association request will be picked up by a neighboring unit. This feature ensures that no single AP is overburdened while others nearby sit idle. The DWL-8610AP supports the latest standards in Wi-Fi function, including WEP, WPA, WPA2, and 802.1X. In addition, it supports up to 16 Virtual Access Points (VAP) per radio, for a total of 32 VAPs, which allows the administrator to assign different access privileges to different groups of users. When Station Isolation is enabled, the AP blocks communication between wireless clients on the same radio and VAP. Rogue APs in the network can be easily detected, and the administrator will be immediately notified of any potential threat. When used together with D-Link’s Wireless Controller or Unified Switch, the function can be enhanced further. 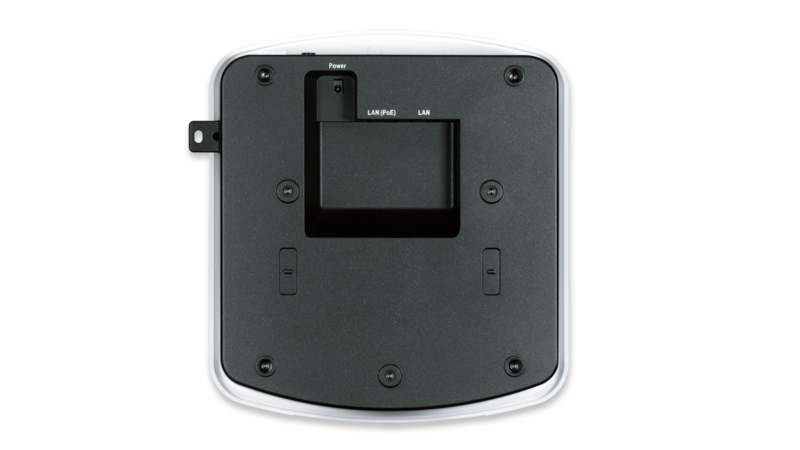 With internal antennas and a simple housing, the DWL-8610AP can be installed on a wall or ceiling and blends in with most office environments. Enclosed in a plenum-rated chassis, the DWL-8610AP adheres to strict fire regulations for placement in air passageways. For easy installation, it has integrated 802.3at Power over Ethernet (PoE) support, allowing installation of this device in areas where power outlets are not readily available. 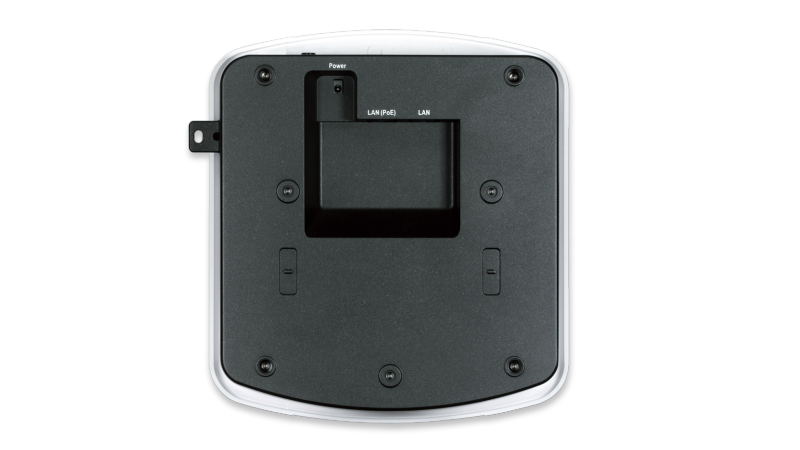 The DWL-8610AP can also be powered by a separately purchased AC/DC power adapter. D-Link offers a Limited Lifetime Warranty on the DWL-8610AP Access Point to further its commitment to product quality and long-term customer confidence. 11300 Mbps is the maximum wireless signal rate as specified by IEEE 802.11ac standard. Actual data throughput will vary. Network and other environmental factors, including volume of network traffic, building materials, and nearby radio interference may lower actual data throughput. 2This feature is available when Unified AP is used in conjunction with D-Link’s line of Unified Switches and Wireless Controllers. 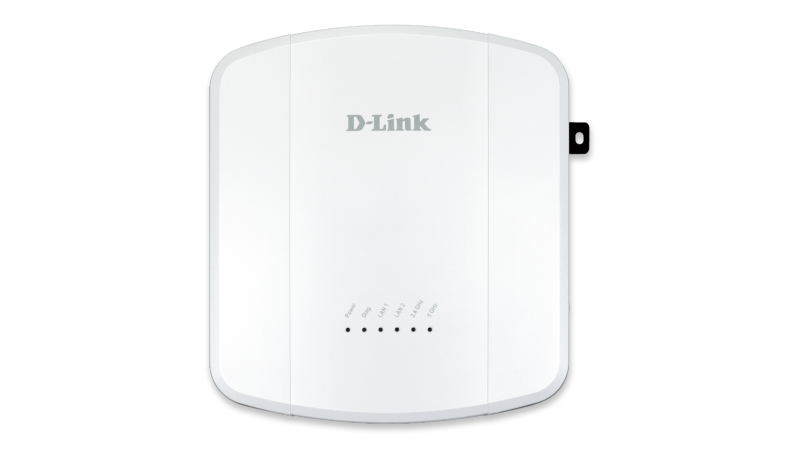 The DWL-8610AP Unified Wireless Concurrent Dual Band 802.11ac Access Point combines the cutting edge wireless speeds of 802.11ac with the unparalleled flexibility and scalability of D-Link’s Unified Wireless Solution. 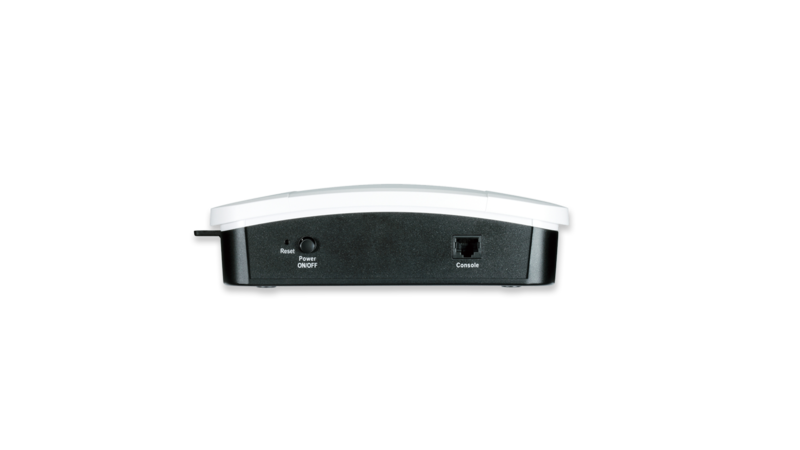 It supports maximum wireless signal rates of up to 450 Mbps over the 2.4 GHz band, and 1300 Mbps over the 5 GHz band.